Nowadays, Blu-ray has become a popular format for a majority of videos since VHS and DVD and people’s needs toward Blu-ray format have hugely increased. One of the most popular ways about using Blu-ray is to watch Blu-ray 3D movies to kill leisure time. More and more people would like to store movies in physical discs. In order to burn or play the Blu-ray disc, you have to prepare a fixed Blu-ray drive. 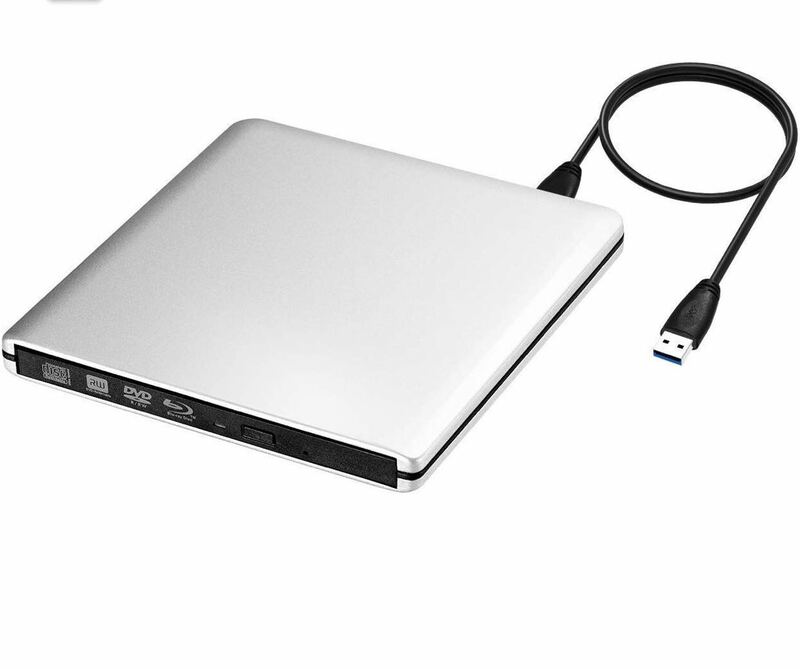 However, some laptops or computers don’t have internal disc drives. Well, you can make use of external 3D Blu-ray burners to hit the problem instead of buying a new computer. Maybe, the Mac users tend to need this optical device more. Today, I will guide you to a more detailed introduction about external 3D Blu-ray burner for Mac and will recommend the 5 best external 3D Blu-ray writers for Mac with the comprehensive careful consideration. For many users, one of the most impressive features about Mac is its lightweight. 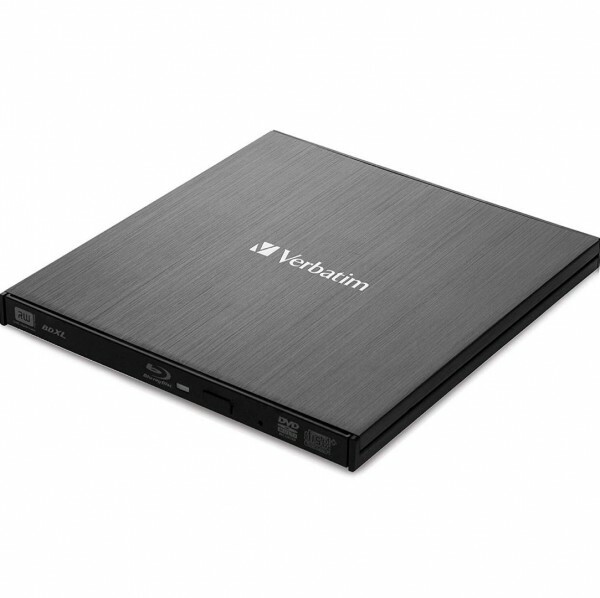 If you are still looking for such as lightweight external 3D Blu-ray burner for Mac, then Verbatim External Slimline Blu-ray Writer will have to be the top 1 option for you. Since more and more laptop manufacturers have left optical drives out of their new models, so such a Blu-ray burner will provide you with a good solution. Such a 3D Blu-ray burner only weighs 8 ounces with slim lightweight outlook can easily meet your requirements in reading and writing CD, DVD and Blu-ray discs. Also, it can perfectly help you to store music and video data. You can directly put your desired Blu-ray disc into this burner without any AC cables to transport. Another slim and lightweight external 3D Blu-ray burner Mac users can use is Pioneer BDR-XD05TS. As one of the most thinnest and lightest Blu-ray external writers, this burner can allow you to load BDXL format and can support 128GB Quad Layer and 100GB Triple Layer Blu-ray media. This external 3D Blu-ray writer for Mac can allow you to watch Blu-ray disc titles and high-definition Blu-ray disc content. Furthermore, if you want to use it to read BD-ROM discs, read/write Single, Dual layer BD-R discs, and Pioneer BDR-XD05TS can easily meet your requirements. Also, it is backward compatible to read and write to DVD and CD formats. But some users made the feedbacks that it is a little noisy when it is burning a disc. The third one on the list of best external 3D Blu-ray writers for Mac should be TopElek GDGEPC072AS External Blu-ray Drive. As a basic 3D Blu-ray disc burner, this one can easily allow you to burn Blu-ray discs, watch 3D Blu-ray movies and create backup discs and so on. This external burner is powered by only one USB cable to connect to your computer, and once it is connected, then it will be detected automatically. What’s worth mentioning, the USB 3.0 interface will bring you to a faster and steadier data transfer. From the external look design, this burner is designed with a forced ejection hole which will solve your worry about the disc being stuck inside. 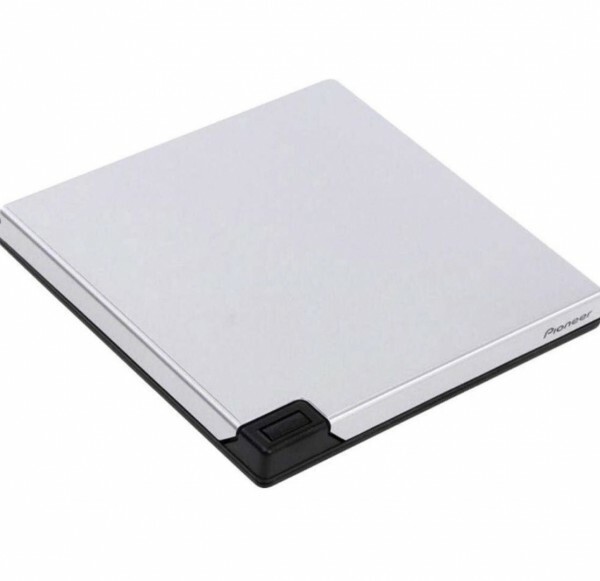 Fourthly, I will introduce Buffalo BRXL-PT6U2VB EU Ultra Thin Portable Blu-ray Writer for your future references. 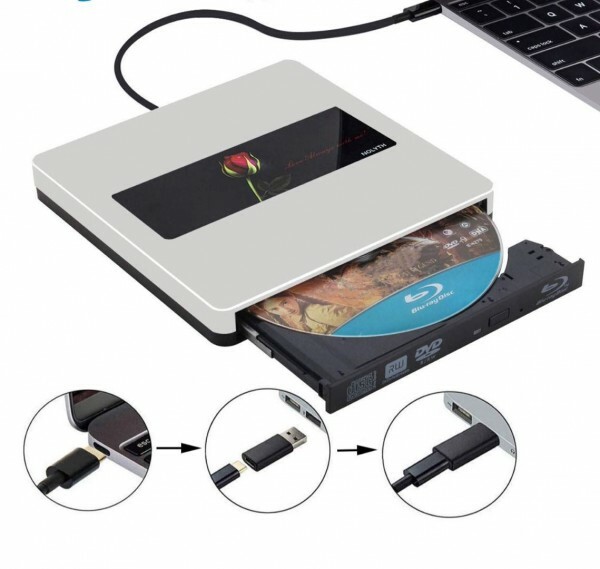 This burner not only provides you with basic functions in burning Blu-ray discs and playing high-definition video content, such a slim Blu-ray writer but also provides you with a rich software suite from CyberLink, including editing, authoring and video playback functionalities. If you are an on-the-go person, then Buffalo BRXL will be perfect for you then due to its small size, convenient and comprehensive solutions it provides. It also has a powerful ability in transmitting a huge amount of data at high speed, backward compatibility with DVD and CD formats, as well as its exceptional playback and burning ability. Last of all, I will introduce a new designed external 3D Blu-ray burner that Mac users may need. USB C External Blu-ray Drive NOLYTH USB300 is a new designed USB C external Blu-ray drive which is powered by USB C and embedded cable. This burner is widely compatible with Mac OS and Windows system. You can freely use it to read and burn DVDs, CDs, Blu-ray discs which supports data storage up to 128GB. 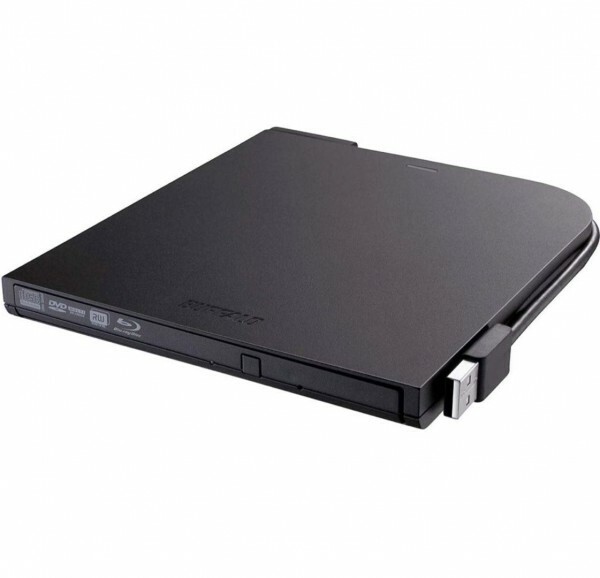 NOLYTH external Blu-ray writer is equipped with USB C high-speed interface which is quite fast in its transmitting speed up to 10Gbps. You can use it with simple steps. This professional software is highly recommended as external burner. And more professional software to play this external burner will be recommended. 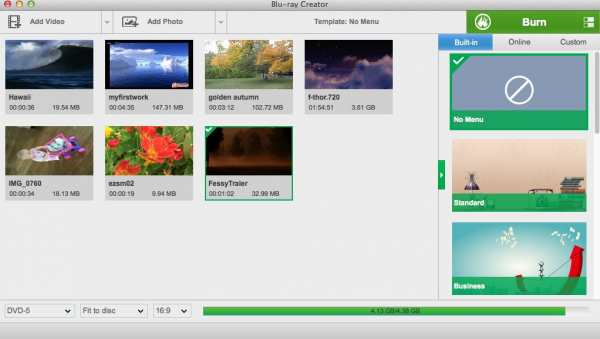 As another alternative for Leawo Blu-ray Creator, DVDFab is also a nice Blu-ray burning software tool for Mac. 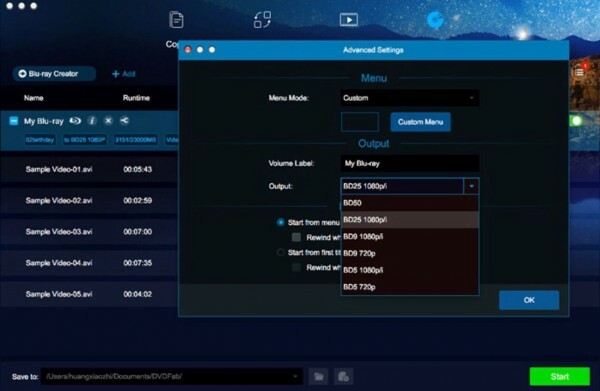 With user-friendly interface and multiple features, DVDFab allows users to burn videos to Blu-ray disc with easy steps. You can also set the audio language of a dual audio movie as well as customizing the disc’s menus. It is compatible with a majority of video formats. Adopting Intel Quick Sync and Nvidia CUDA technology, DVDFab Blu-ray Creator is very fast in burning all kinds of videos onto a blank Blu-ray disc. If you are looking for an easy burning tool for Mac, then you can turn your eyes to Roxio Toast 16 pro. Roxio Toast 14 pro supports nearly all the video formats as well as enables you to burn all kinds of videos onto Blu-ray discs with simple steps. With Roxio Toast 16 pro, you can choose among the standard or wide screen format as you like. Also, you can edit the videos before burning to Blu-ray disc without affecting the video quality. Then, another Blu-ray burning tool for Mac will be introduced is Dragon Burn. 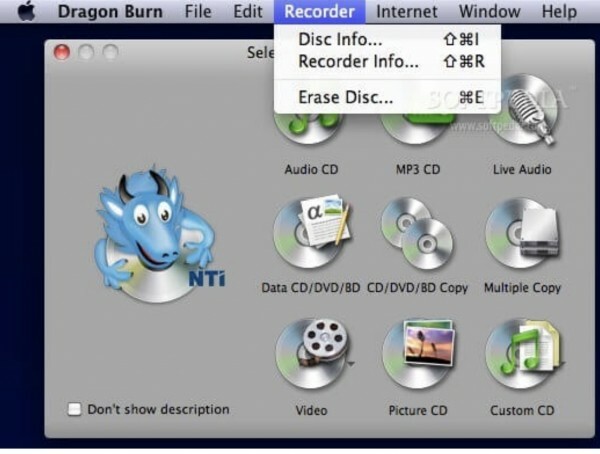 As a powerful burning program that enables you to burn all kinds of videos onto Blu-ray discs, Dragon Burn is quite easy to be used with user-friendly interface. If you only have some basic burning requirements for burning Blu-rat discs on your Mac, then Dragon Burn will be perfect for you. This burning software is fast in burning and also has various features and configurations. Last of all, you can take a try on Express Burn for Mac. This burning program is quite easy to be used and allows you to burn all popular video formats with a DirectShow based codec. You can edit the videos before burning onto the Blu-ray disc. It also supports dual-layer BD disc recording which will provide you with larger storage capacity. 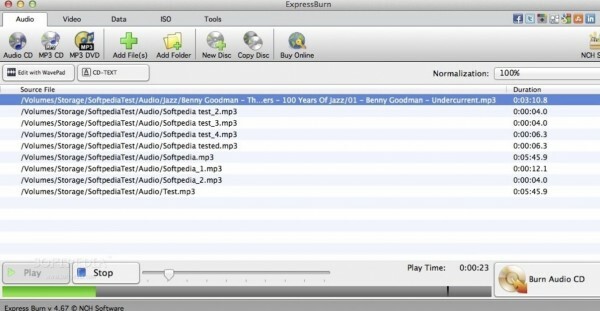 If you are looking for a basic software tool for burning Blu-ray disc, then Express Burn is quite proper to you. Since the powerful Blu-ray burning tools for Mac have been introduced above, then you can easily burn videos to 3D Blu-ray on Mac with easy steps. Here I will give the tutorial based on Leawo Blu-ray Creator. Step 2. 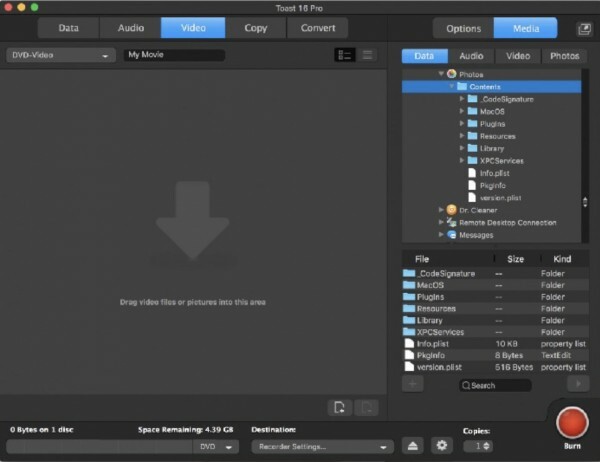 Insert the video to the Leawo Blu-ray Creator for Mac by clicking the “Add Video” button, or directly drag videos to the program. Step 3. If you would like to burn 3D movies, you can turn 2D video to 3D in the built-in video editor. On the right side of the burner, you can find various menu templates. Choose one template and click it to enter the main editing panel.